The Connecticut Wine Trail is one of the most exciting and fastest growing wine regions in the United States. A tremendous variety of wine styles and stunning scenery are to be enjoyed as you meander throughout our beautiful state. All 26 wineries and vineyards offer adventure in a variety of opportunities. 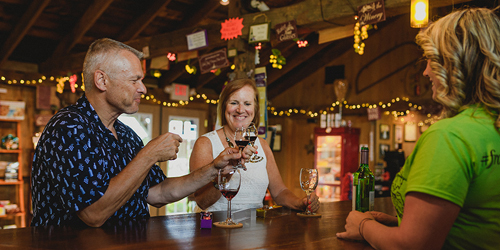 Whether visiting for an exclusive tasting or looking to host a private events, adventure awaits you on the Connecticut Wine Trail.